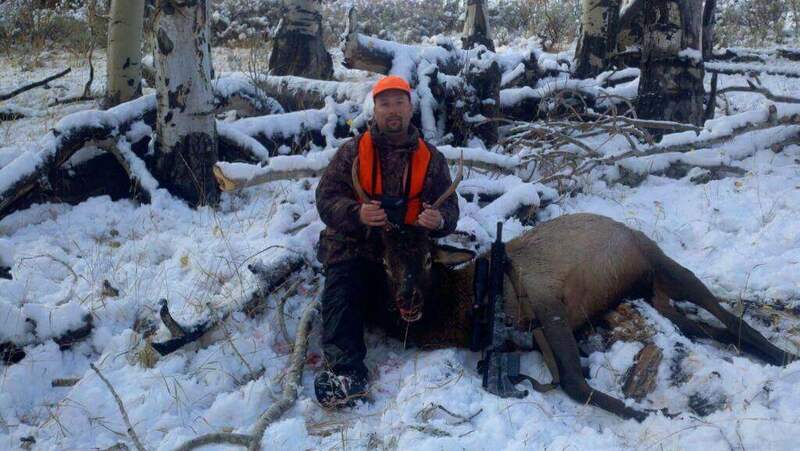 This photo was taken October 12, 2012 by my guide Colt from Buffalo Wy. This is my first harvest with my SRS. 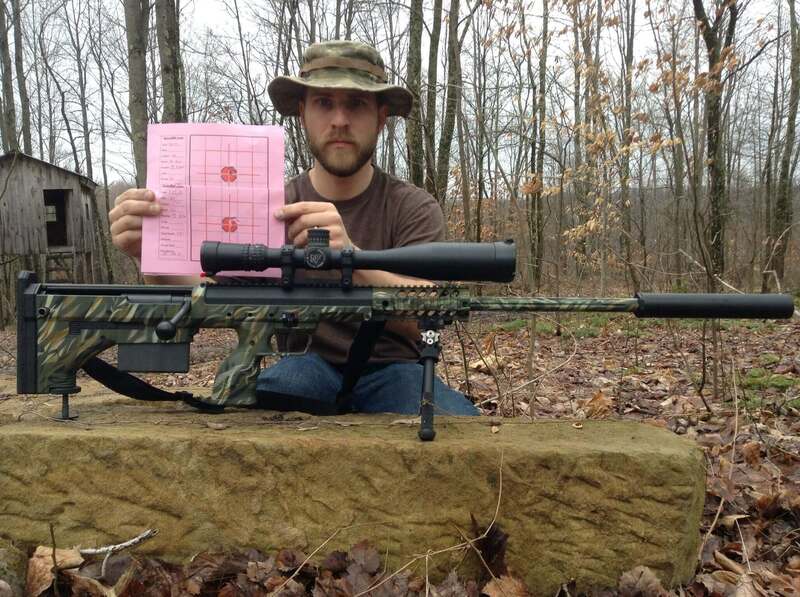 670 yards, set up was 300 win mag, 208 A-Max at 2881 FPS. 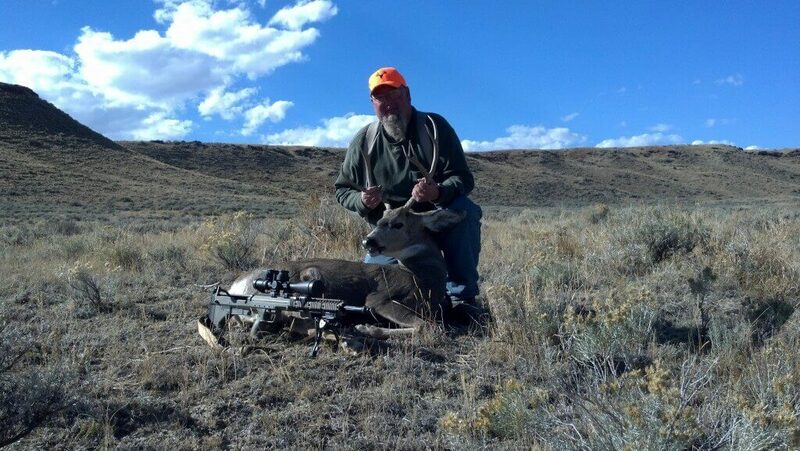 What makes this my best so far is that I set a goal last year to harvest my buck over 500 yards, and was so glad to make the shot at 670 yards. I have several custom rifles but none that shoot like my SRS out of the box. I have the 300 WM, 338LM, 308 WIN and 260 Rem kit. Working on the 260 Rem right now but all the other kits shoot 1/2 MOA or better when I do my part. One off the best things about the DTA SRS is that I know spent good money on a top of the line scope and can use it for the 4 diffrent kits, unlike other rifles I own 1 scope for one rifle. Thanks. 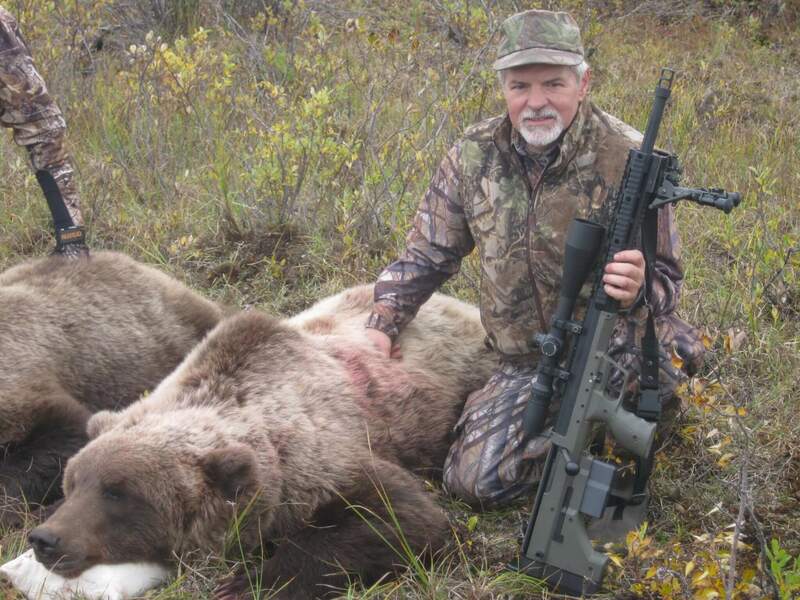 Here’s proof of your 1/2 MOA guarantee.800 yards. 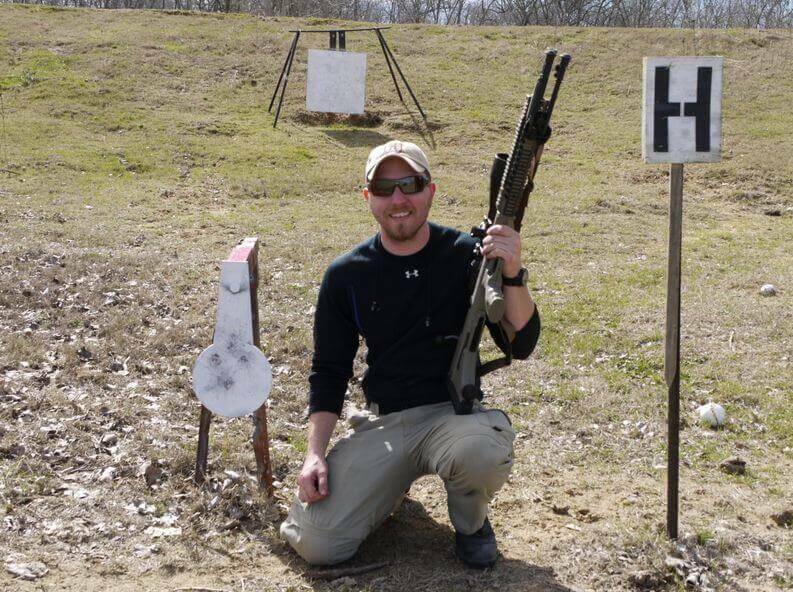 This was the first time I shot the rifle after breaking it in. 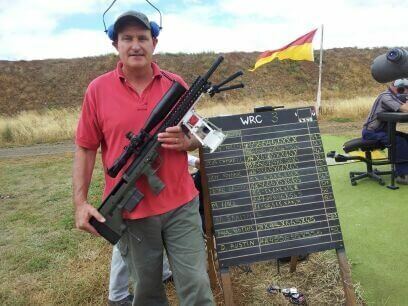 To get ready for this year’s PRS matches, I needed a rifle in .260 rem. After researching DTA and various reviews, I purchased one just last month. Within a week, I participated in a train-up with the SRS. I’m a fan of the length for maneuverability and the bull-pup design. It allows me to rest the trigger housing against objects instead of resting the magazine like a traditional bolt rifle design. “I thought I might try my DTA at Fclass. Turned up and the friendly jokes started like, “Where’s the rest of it?” and “Can’t you afford the full barrel?”. Some of them wanted to have a look at the way it changes barrels, so i removed it a couple of times and so did they. After we had done this they told me that there wasn’t enough time to re zero it. I said no need to, it will be ok to go straight into my comp at 500 yards. Yea right was the general mood. In the past when l have shot Fclass I have used my Tubb 2000 or my AI AW and I have never been able to shoot a possible come close lots but just miss out. So I laid down with a small group of non believers standing behind me. With my nerves picking up, l shot my first possible and you could of herd a pin drop. 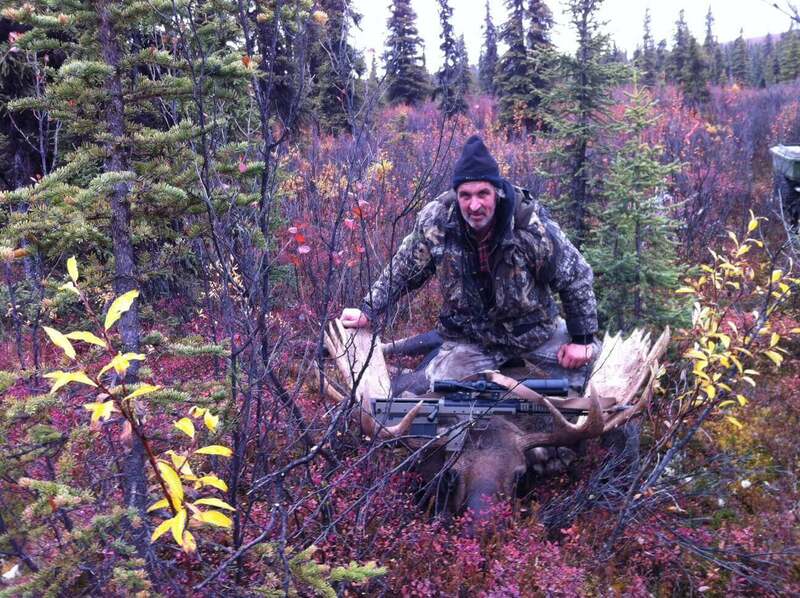 About mid morning Sept 1st this 6’10” grizzly came into our moose camp and took some meat from our meat rack. We didn’t get a shot it happened so fast. Later that afternoon we went back to the kill site and found two adult grizzlies in the area. My buddy and I both shot and dispatched both of them with one shot each. 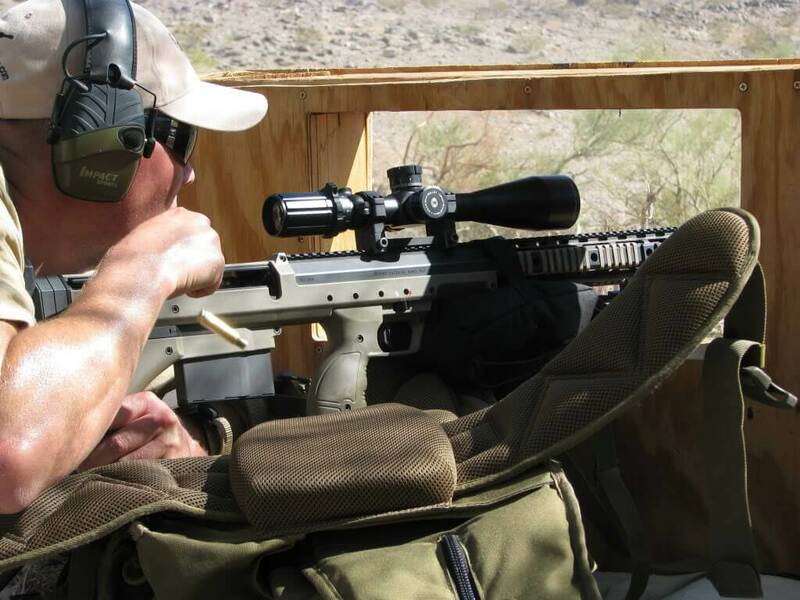 I am shooting a DTA in .338 Lapua Mag and 8.5 – 32X Nightforce scope 250 Nosler Accubond at 2850 fps. 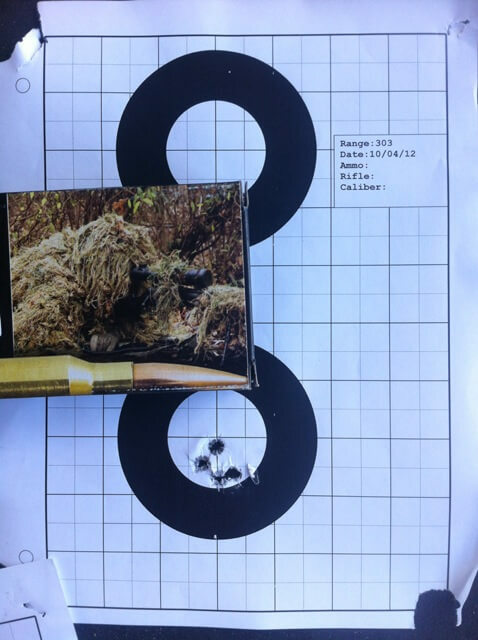 1″ group at 300 yards routinely. Awsome weapon. i now have a titanium silencer on it and am waiting on a new stock with monopod and cheek piece. I love this setup. It’s simple, it is extremely accurate and easy to shoot. Also, I love being able to take off my “hunting barrel .338 Lapua” and switch with a .300 Win Mag and be able to shoot a lot of ammo with the same platform I hunt with without wearing out my Lapua barrel. Great concept. My son Hunter and I in Kansas Dec 2012 after taking down the “Big 8” with the 300 WM. Desert Tactical Arms and Desert Tactical Munitions sponsored a special side match at the 2012 Las Vegas Invitational Crap Shoot. 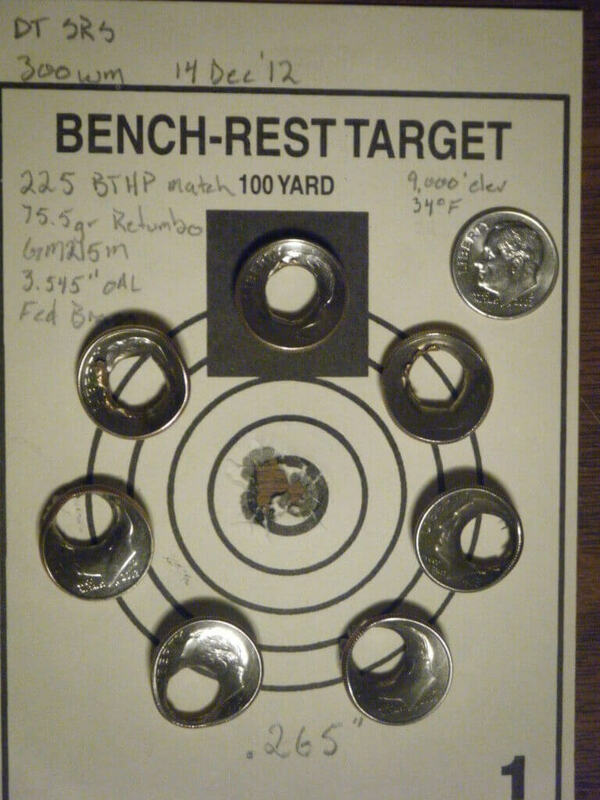 Each shooter took three shots prone at 100 yards with a DTA SRS chambered in DTM 175 grain .308 Winchester. 32 shooters participated-half the shooters (all the way to 16th place) grouped less than .387 MOA! 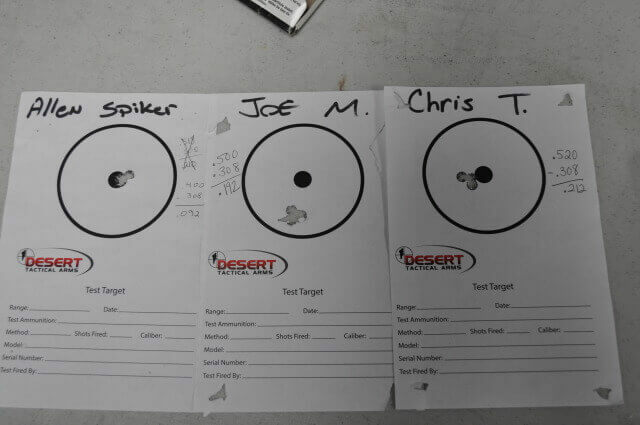 Congratulations to the winner, Allen Spiker who grouped .092″ and took home 100 rounds of Desert Tactical Munitions in 308 Winchester. 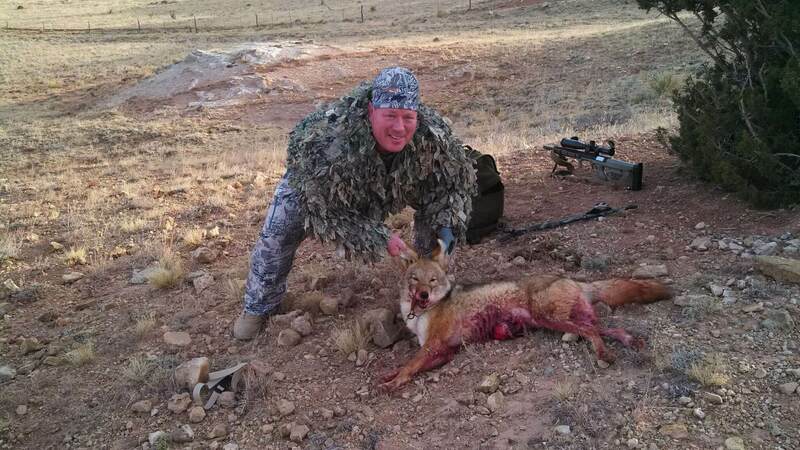 Steve Reichert shoots a 1″ Group @ 303 yards with the Desert Tactical Arms PSR. 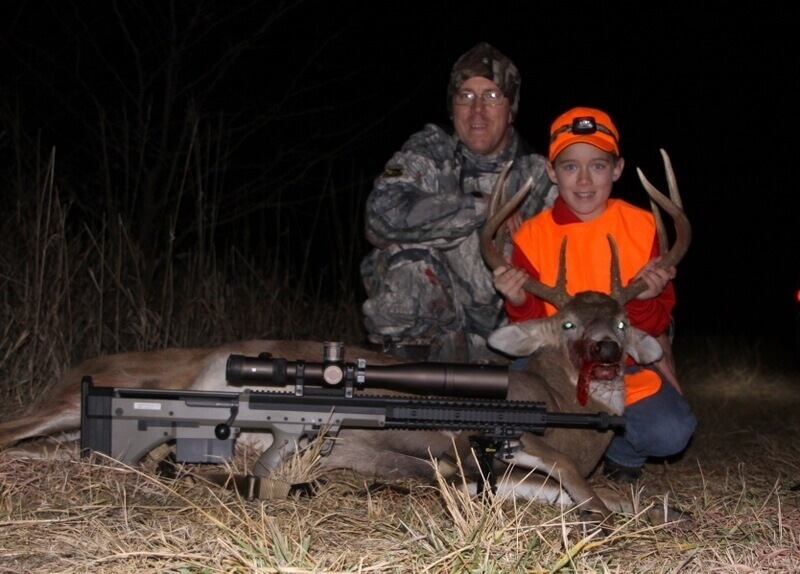 Young hunter, Cash Stallings using The DTA SRS with DTM .300 Win Mag to down this pretty buck on Saturday evening. 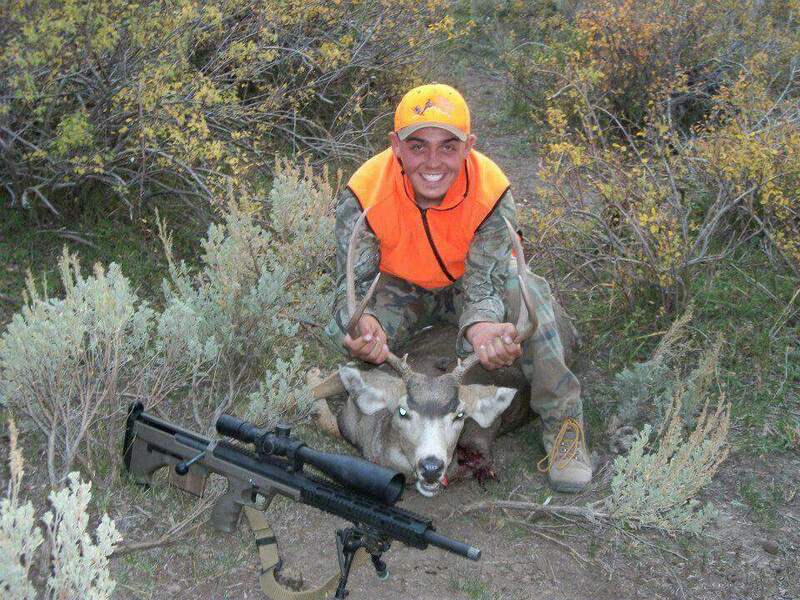 The buck was killed at 208 yards in south central Utah. Weather conditions were perfect; almost no wind at a temperature of 68 degrees. 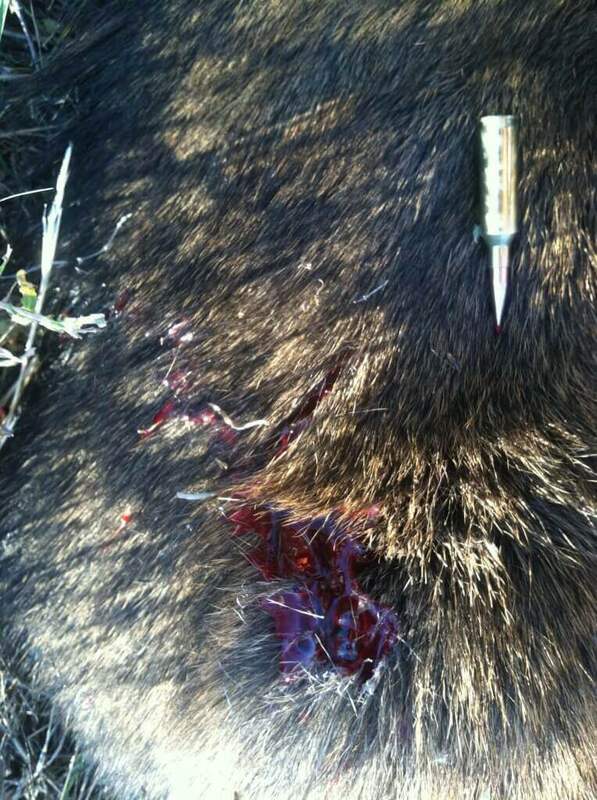 Using a load I worked up with Berger 168 VLD bullets, Lapua brass, RL-15, CCI BR2 primers, I shot one hole groups all day. The attached photo shows the best of them. It measures .348 inches edge to edge. When you subtract the caliber (.308) that leaves a center to center measurement of .040. I have been shooting for nearly 30 years and I have never ever shot a group this tight. This is just as good as it will ever get. Your rifles are absolutely superb. Witnessed this group being fired today at 900yds with a DTA in 308. 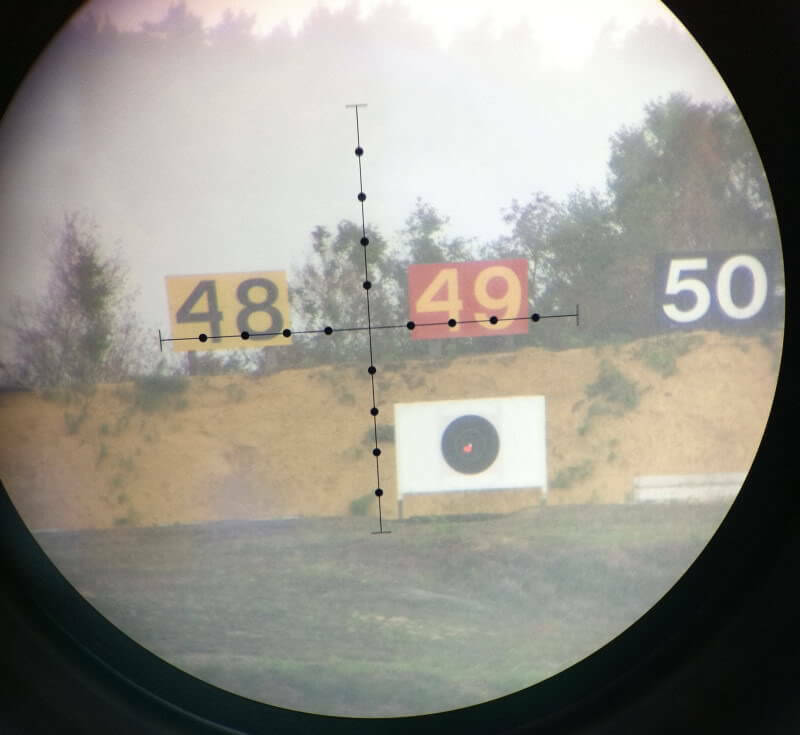 There are 3 orange markers in the target marking the 3 shots of the group. (and one white patch marking the centre of the target). For reference, each dot on the mil ret is 0.2mRad in diameter. 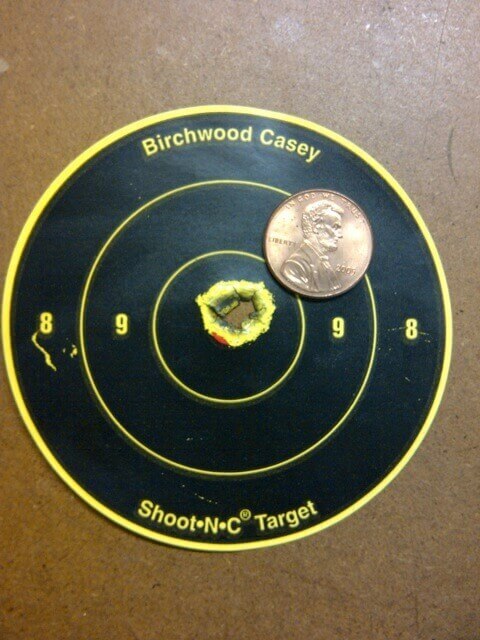 So this is about a 0.2MOA group at 900yds. That’s the best group I’ve ever seen at that distance; hence the pic! 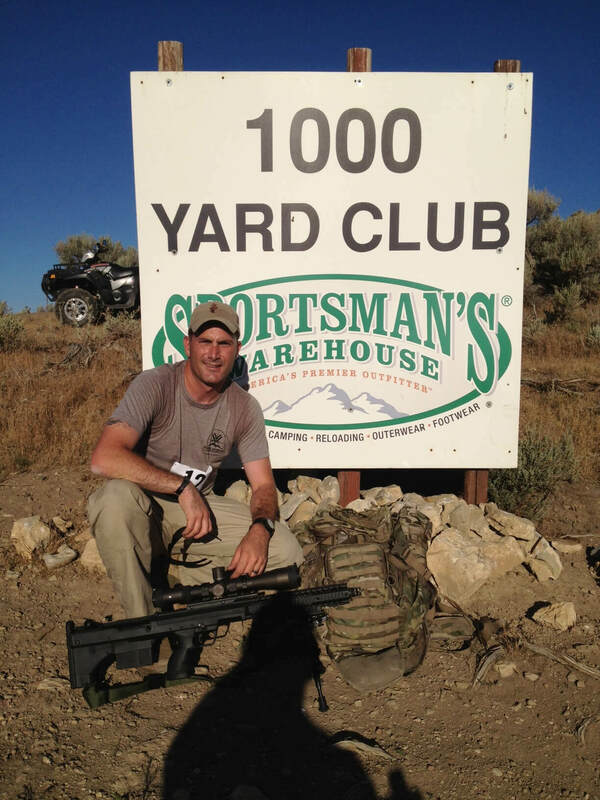 The rifle averaged 0.5MOA at 800, 900 and 1000yds.